Ringler Research wishes all readers and visitors of our uranium sector information pages best wishes for 2019 – health, optimism and satisfaction! 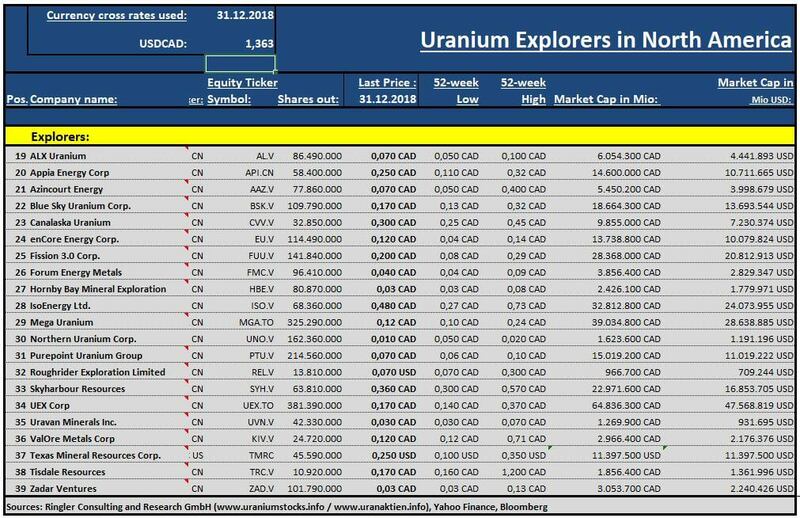 As the saying goes, a picture is worth a thousand words – here we have summarized the most important statistical overviews from our database of all listed companies in the uranium sector. 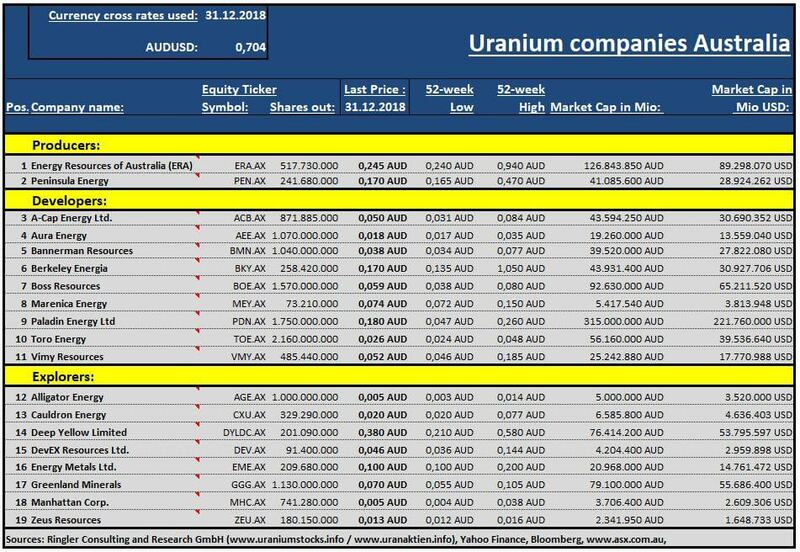 The market capitalization of all listed companies in the uranium sector is still extremely low, valued at 11.8 Bln. USD as of 31.12.2018. 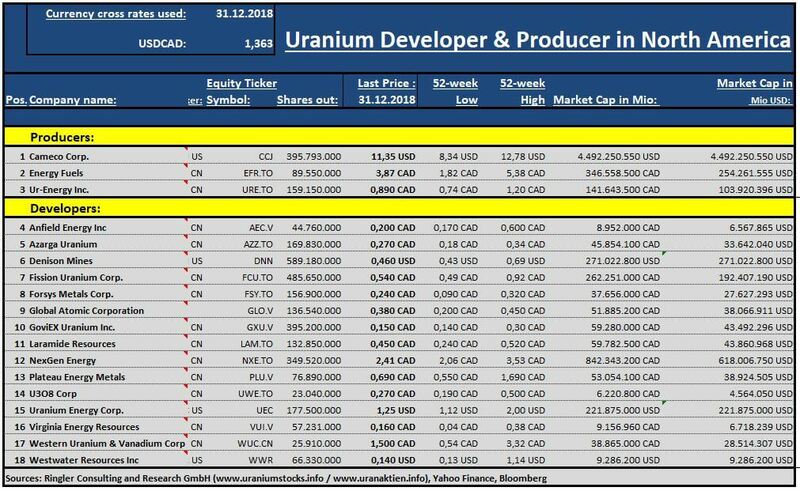 We expect the beginning of the next bull market, at the latest, when utility companies coming for re-contracting their long-term uranium delivery contracts. Over the next few years, a large number of these supply contracts expire. The vast majority of development projects or currently closed mines require a significantly higher uranium price (about 45-65 USD per pound U3O8).